If you are looking for insanely cool DIY staircase makeover ideas, then you have clicked on the right guide. There can be a lot of reasons as to why you wish to change the appearance of your staircase, give it a fresh new look and decor. 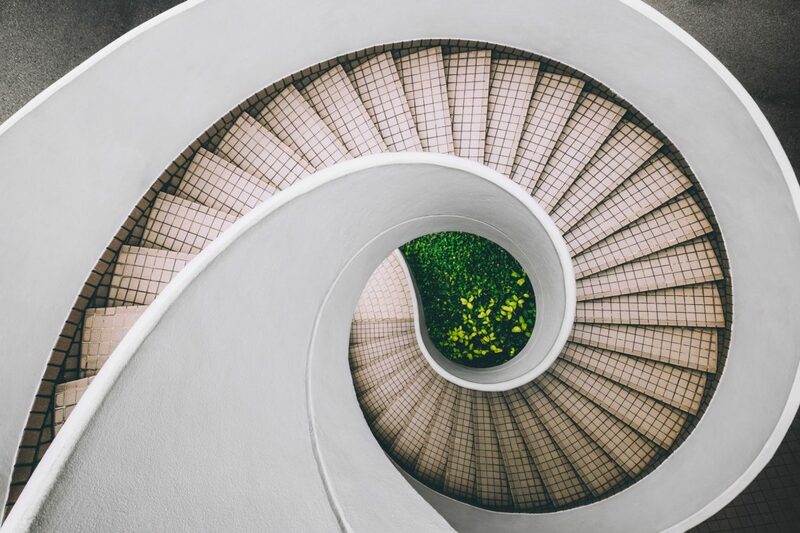 From worn out runners to having a bland and rather dull appearance, the reasons for a staircase makeover are plenty. And a nice makeover will do more than just make your stairs feel fresh; they will enhance the overall beauty of your house as well. 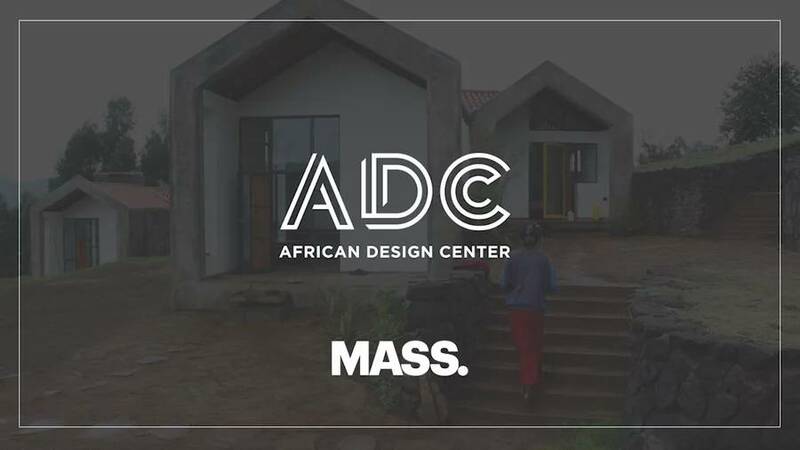 So, if you’re having trouble at choosing the right makeover design that will go with your home and needs, worry not, we are here today to help you out with just that. 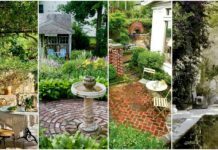 We have listed 19 of our favorite makeover DIY designs that are sure to appeal to you as much as it has appealed to us. Chalk paint and stencil can give your staircase a nice subtle look and give it a very personalized appeal. 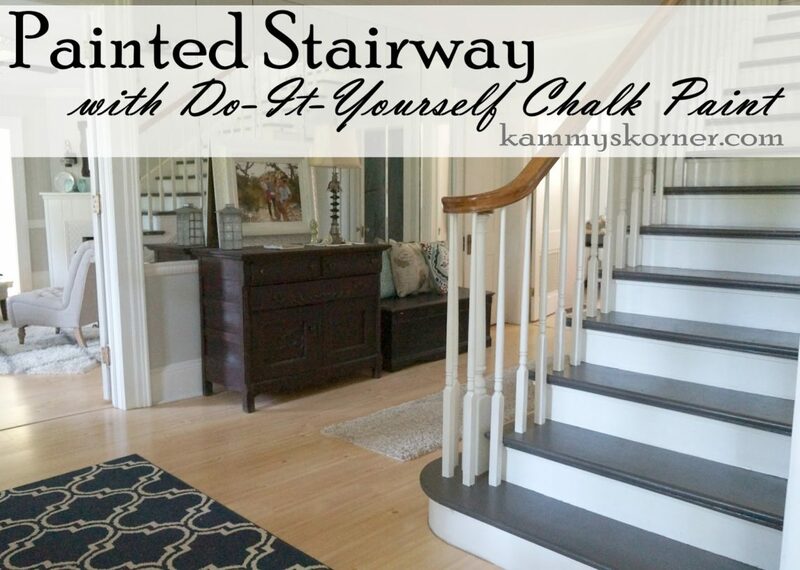 If you are looking for a staircase makeover that is not too loud, then a pretty pattern with chalk paint can be the way to go. 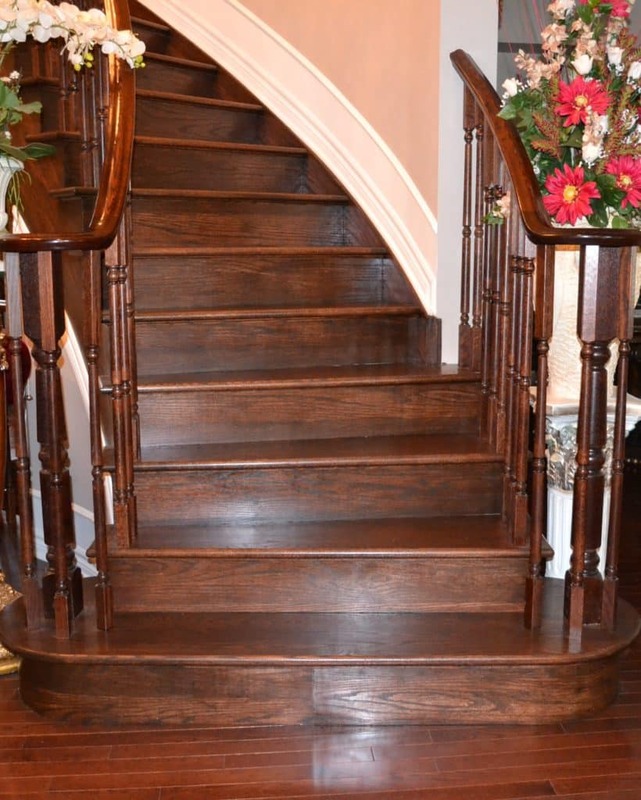 It won’t make the staircase the centerpiece of your house but will enhance the overall beauty of its surroundings. 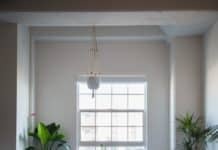 As pretty paint will give it a unique customized look and the light chalky finish will prevent it from being too bright and flashy. And while painting the staircase if you ever leave the banisters uncolored, you can find that the whole setup makes a beautiful color contrast. Ombre is one of the more progressive shading effects that you can read about in today’s fashion magazines. And it goes amazingly well with houses that possess short sets of stairs. 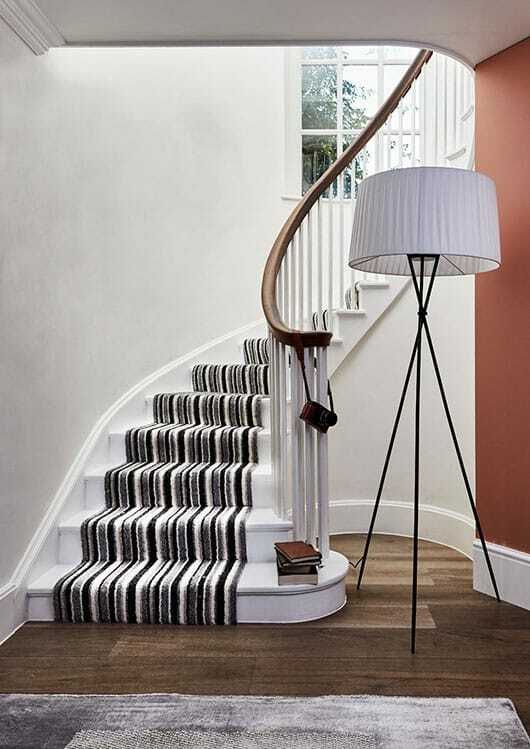 Getting your staircase to have the hip and modern ombre look is rather simple. Just start by painting the darkest shade of color first (make sure you pick out the choices of colors you want your stairs to have beforehand). Then slowly make the colors go lighter and lighter by adding white. It’s important to make sure that the color mix amount in each batch is enough to cover a complete step, along with all the necessary coats. If you want your stairs to have a classic and vintage appeal, then you probably cannot do any better than applying a bit of paint and stencil to it. We all know how sophisticated tiles can look, but they are rather expensive and not readily affordable to the average homesteader. Sure! You can choose to drape each step of the stairs with monochrome tile. Or you can do what we did and make it have the same visual effect with just some paint and stencils. And on a cautionary note, if you have longer staircases, make sure that you stencil very other risers. As the tile look may not define the step boundaries, it may have a vertigo effect on many. If you love color or vibrant home decor, then the rainbow pattern on your staircase is sure to fit your needs like a glove. The soothing VIBGYOR spectrum can brighten up your whole home and will appeal to the kids as well (if you have any). 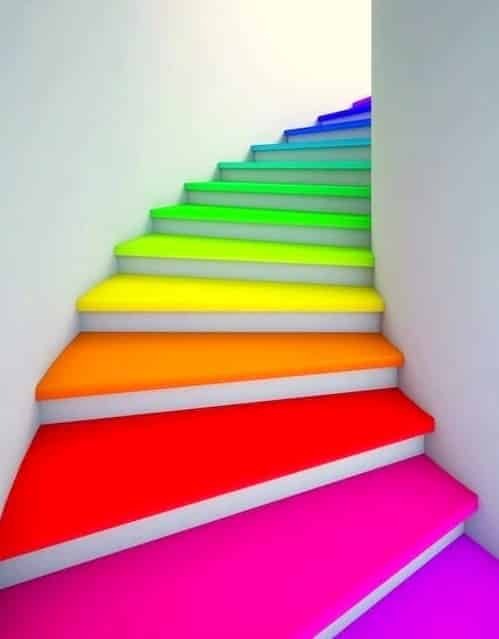 The bright color coding of the rainbow pattern can make your staircase the centerpiece of your house. But if you want to go for a mellow appeal then applying pastels can keep the effect soft retaining a very mild farmhouse aesthetic. And if you have sunlight flooding in from the windows from above the stairs, then you can notice the colors coming to life. Well, what can we say? Tiles are just amazing, they’re light, durable and gives off a very posh and sophisticated appeal. 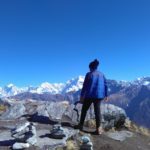 And if you’re able to afford its expenses, we suggest that you go for it. As we had mentioned, chalk paint can give off an identical tiled look just fine. 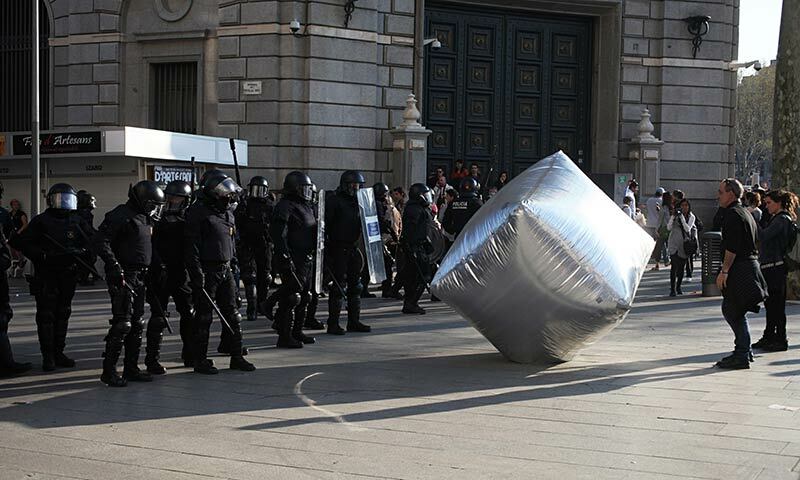 But it is not as durable, and the paint wears off pretty soon. 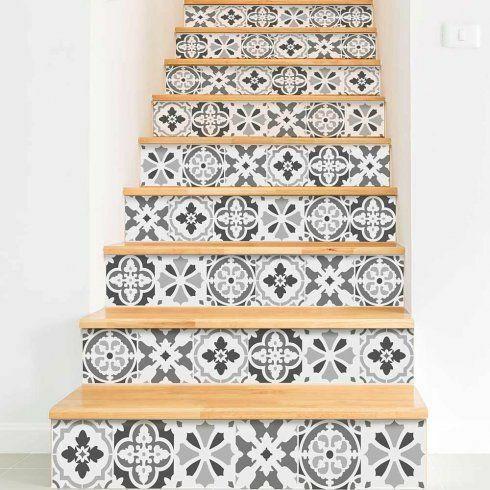 Additionally, with tiles, creating an alternating set of patterns and color codes for each step riser can make a very unique staircase that can improve the aesthetic appeal of your home. And if you want to personalize your tiled stairs any further, you can always opt for a professional who can trim your tiles to fit your stair risers accordingly. Another traditional black and white design, which is much like the tiled staircase patterns we had mentioned before. But what makes this makeover special is the presence of a convenient chalkboard. To set up this staircase design, you can start by using a painter’s tape and a V-shaped template made of foam board to make the chevron pattern. Then start with the painting, and gradually peel out the tape very slowly to put in the final touches. 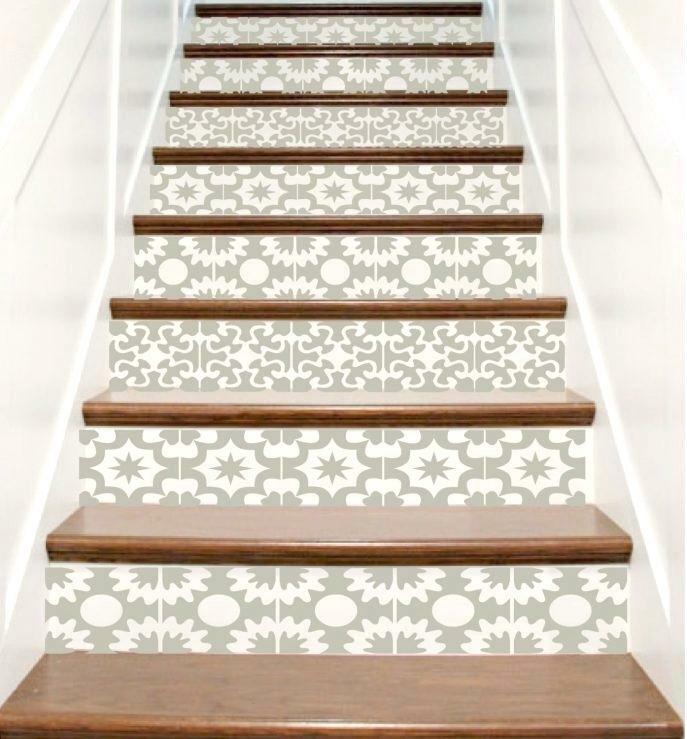 Decals are a great way of giving your staircase the much needed personalized look. 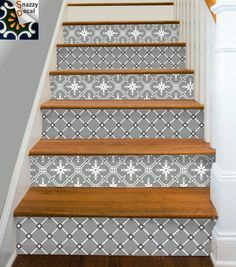 May you be a voracious reader or a gamer, you can use decals to coat your stairs with book or game themes that suits your personality and home. The possibilities are truly endless. And applying a decal is rather easy, just peel and stick on the steps surface, and you have your very own uniquely customized staircase. If you have children at home, you can even choose to use design patterns with their favorite cartoons on them. But when applying a decal, make sure to acquaint yourself with the fine print of the methods of use. Separately painting the risers can be beneficial as well. The traditional stair runners can be rather mellow and unattractive and can bring down the overall aesthetics of your house. And even if you buy a brightly colored runner and drape your stairs with them, they can get very boring very fast. A great trick to revamping the runners can be by buying different sets of them and installing them alternately one after the other. 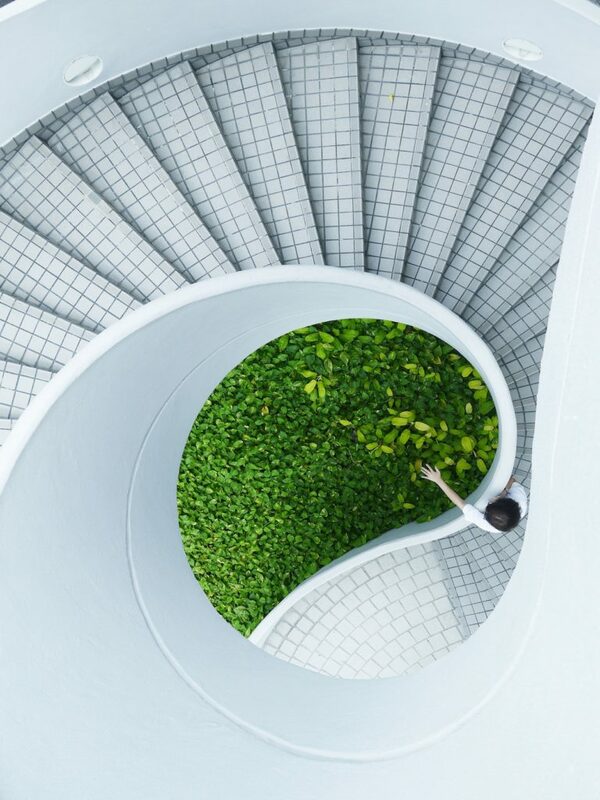 This can help give your staircase a very wild look that along with brightening up your home interiors can make climbing stairs a rather fun experience. 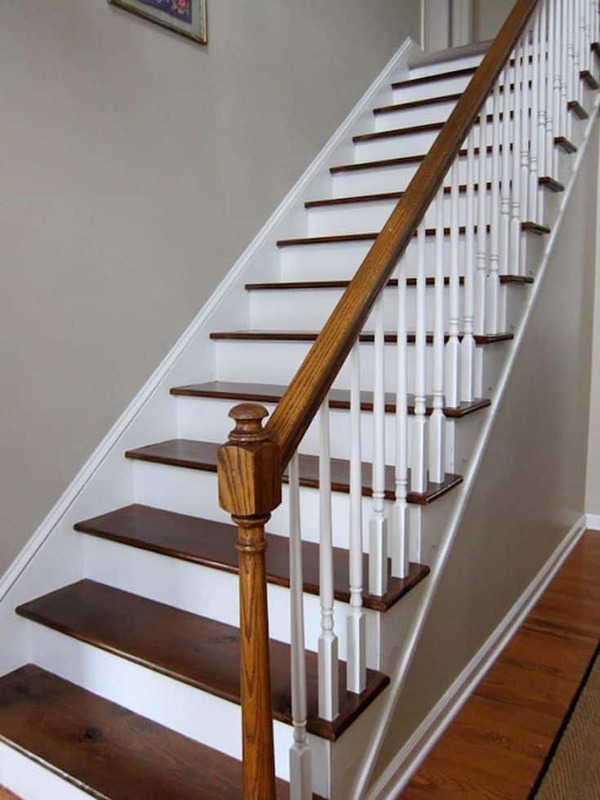 This idea is quite beneficial for renewing the worn out look of wooden stairs. 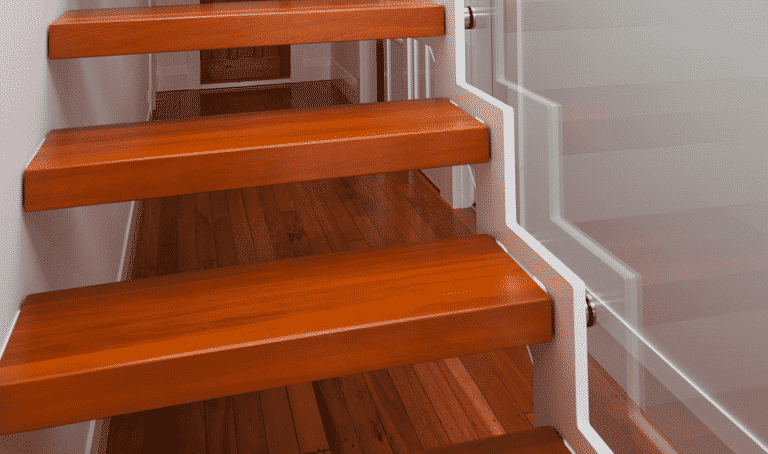 Replacing the treads is a straightforward solution to making your staircase attractive and vibrant again. Some may think that buying new treads is very expensive. But you can make your purchase significantly cheaper if you look for the best deals in wholesale wood for wooden staircases. Market deals won’t allow you to compromise much on wood quality. And you can make your staircase treads quite durable along with being sophisticated. For the modern homesteader, vinyl has become a favorite house decorating tool. 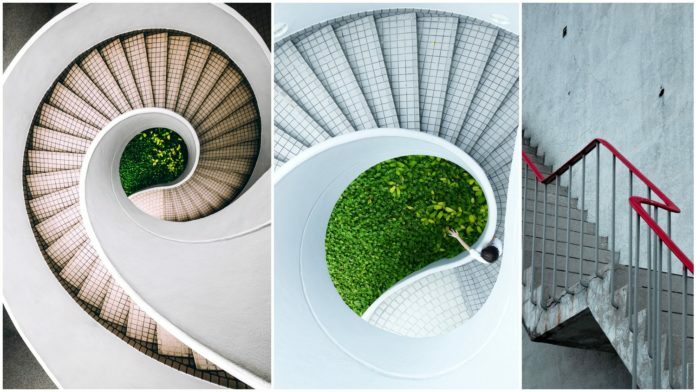 It is a very versatile material, and apart from sprucing up the walls of your home, you can use it to makeover your staircases as well. 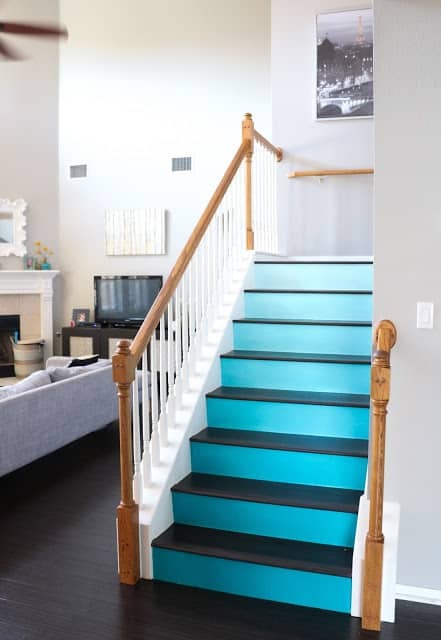 When it comes to accentuating your stair risers, vinyl can help you add a bit of color and vibrancy to it. You can either choose to cover all the risers with the same colored vinyl or go for a wilder look by alternately adding different colored ones. You can also look to use vinyl cut out letters to add messages and images to the steps and provide a very personalized touch to your staircase. If you have recently painted your house interiors or added new flooring and replaced some furniture. Then it’s a high possibility that your staircase stain design doesn’t match or compliment this new interior decor. So getting new stains that match your new home can fix this problem right away. They are inexpensive, can be very easily replaced and is a rather fun DIY project. It’s a great way to throw out your old stains and get new ones that flatter your home and awe your guests. 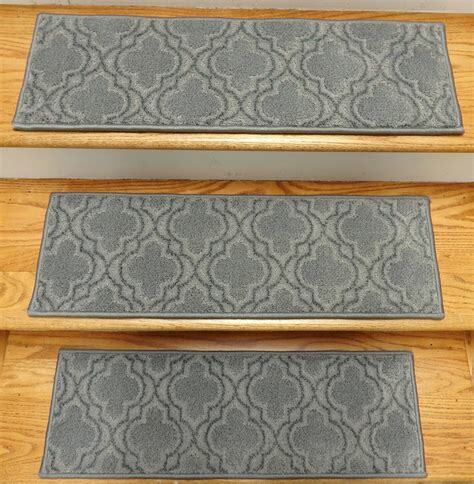 One of the most pocket-friendly DIY stair makeover ideas, and perhaps the simplest. All it requires of you is to just choose a new fabric or a long stair rug with an attractive color, and change out the older and worn-out runner. A hammer and a nail gun are all the tools you will need to get a new runner, up and running. This makeover is quite similar to replacing a runner, but instead of the runner, you are changing out the whole rug. If you aren’t all that big a fan of long staircase carpets, then you can choose to personalize each step of the staircase with a different form, color or shape of the rug. 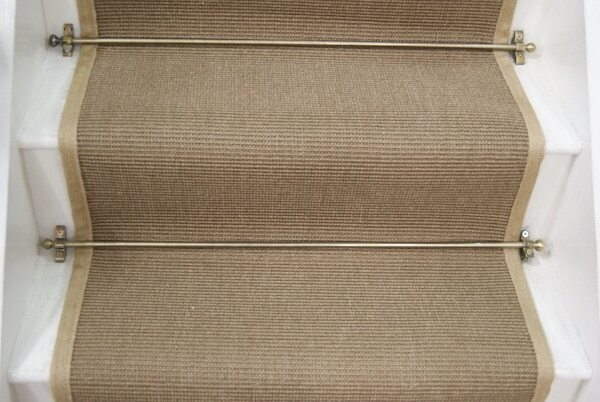 Long staircase carpets get worn out and outdated very soon. 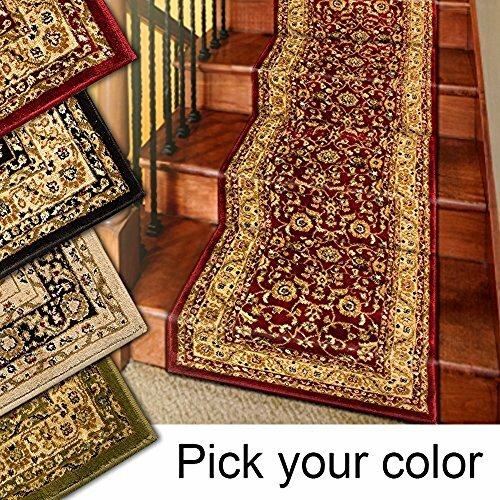 So, to spice your staircase up a little, you can choose to add a different shape of rug to each step. 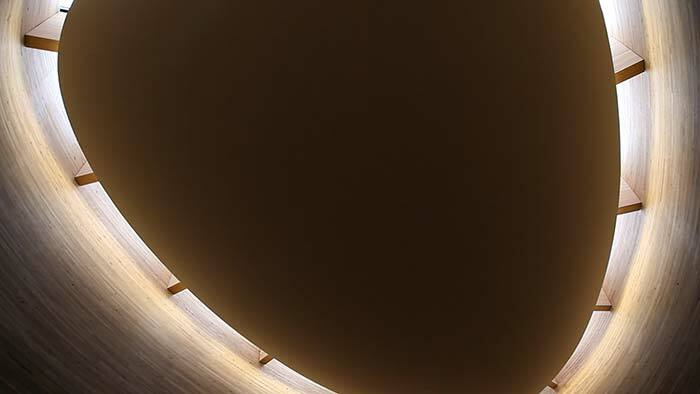 It may be rectangular, or long oval shaped, anything that suits your personality and the home’s decor. You can give each rug a different color as well. If you want your staircases to retain their traditional wooden appeal, yet have a tasteful makeover that fits a low budget, then why not consider giving it a paint? 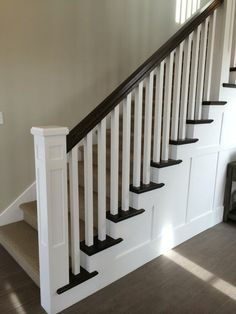 And you don’t have to color the entire staircase either, just the posts. This way the stairs hold on to their traditional look and yet feel fresh and new. Paint is one of the cheapest ways to make your home and in-house accessories look new and hip. And you don’t even have to paint the posts the same color. You can mix up the pattern and give it a distinct personality that is sure to catch the eye and please the senses. 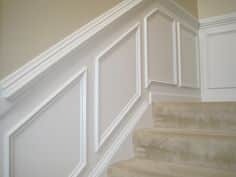 Adding a bit of staircase molding to the walls surrounding the stairs is a fantastic way of giving the whole space a completely new and tasteful look. Not only will the color coordination go well together, but both the walls and the staircase will highlight and complement each other as well. Staircase molding has a very expensive appeal to itself. And it is a very inexpensive way of making your interiors look posh and sophisticated. Additionally, it’s a very simple DIY project as well. And there are enough tutorials online to help out the most amateur of homesteaders have their walls and stairs look fresh and expensive. 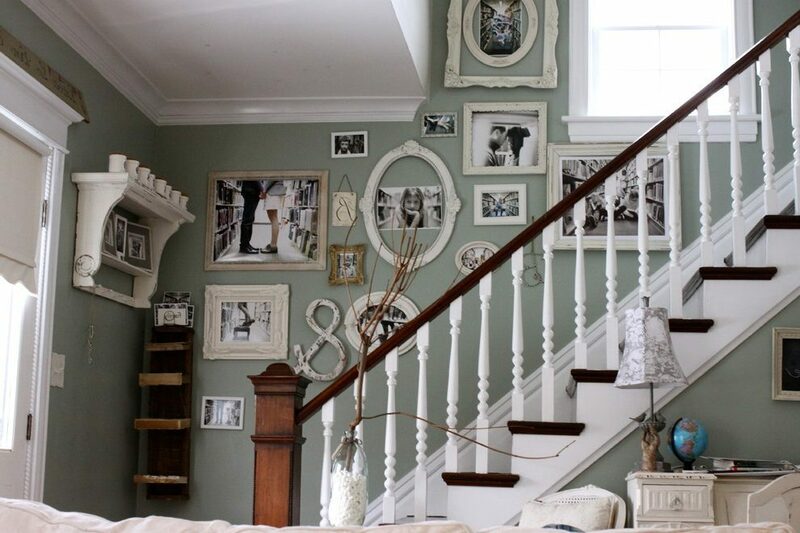 If you have a fascination for antique portraits and paintings lined up against the wall, then how about applying the same to the walls of your staircases as well? 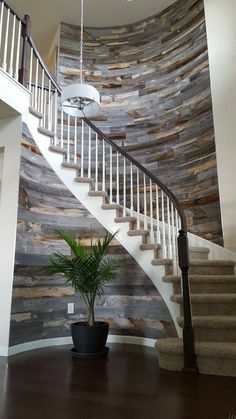 This imparts a very unique and classical look to your home and makes the journey up the stairs feel like a ride through history. Adding faux planks to your staircase walls and steps is another amazing DIY makeover you can go for. 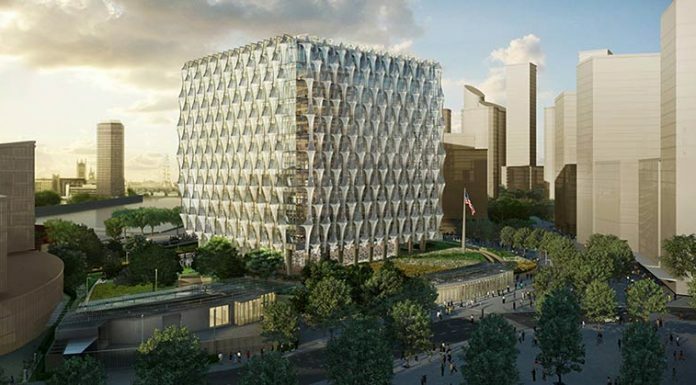 However, acquiring faux planks can be very expensive. 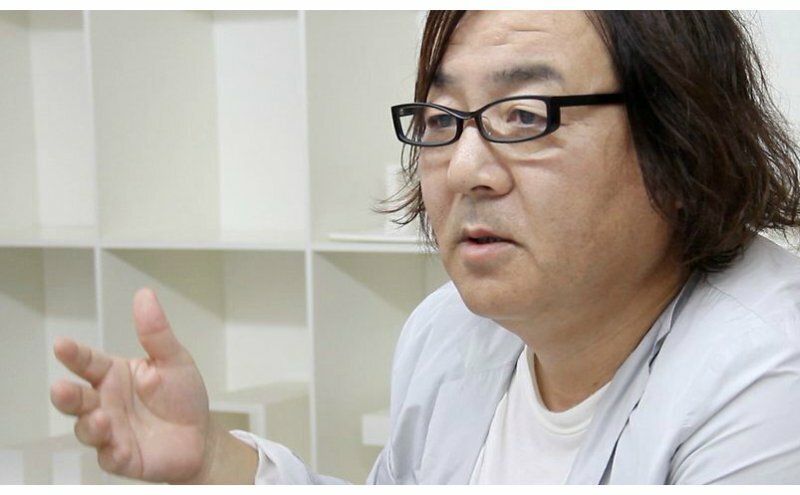 Luckily, you can produce the same effect with just a pencil. 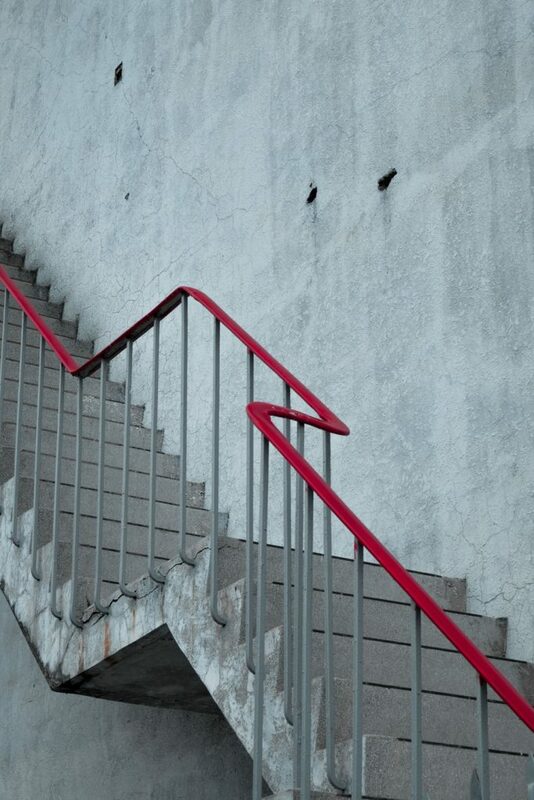 Draw horizontal lines in the stairwell, and you are all set. If you have a lot of dusty and mold eaten poetry books lying around the house, why not put it to good use instead of throwing them away? 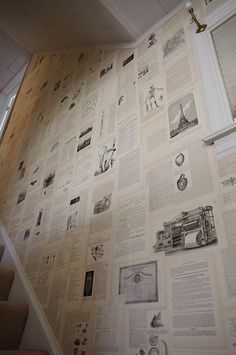 You can recycle those books and frame the different pages and verses to adorn the staircase walls. 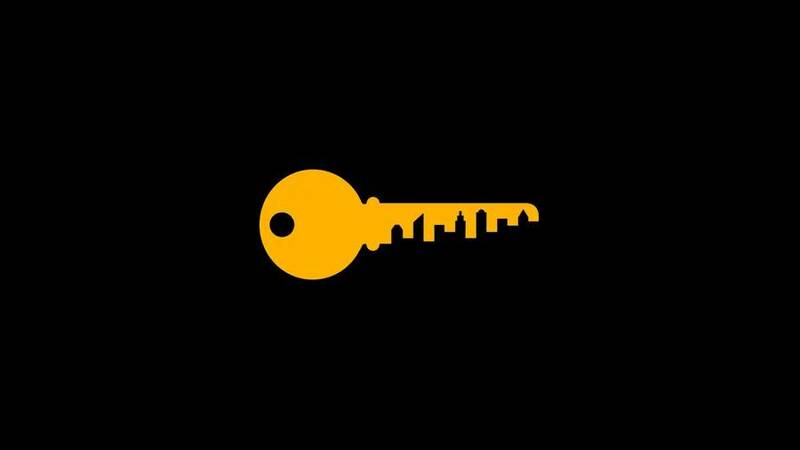 It’s enough to get any bibliophile excited. Brightening up the home’s entryway and contrasting it with the different accessories around the house can go a long way in enhancing staircase appeal. Greenery, objects like a rug and various coat hangers can contrast with the entryway decor and make the space bright and beautiful. So there you go! 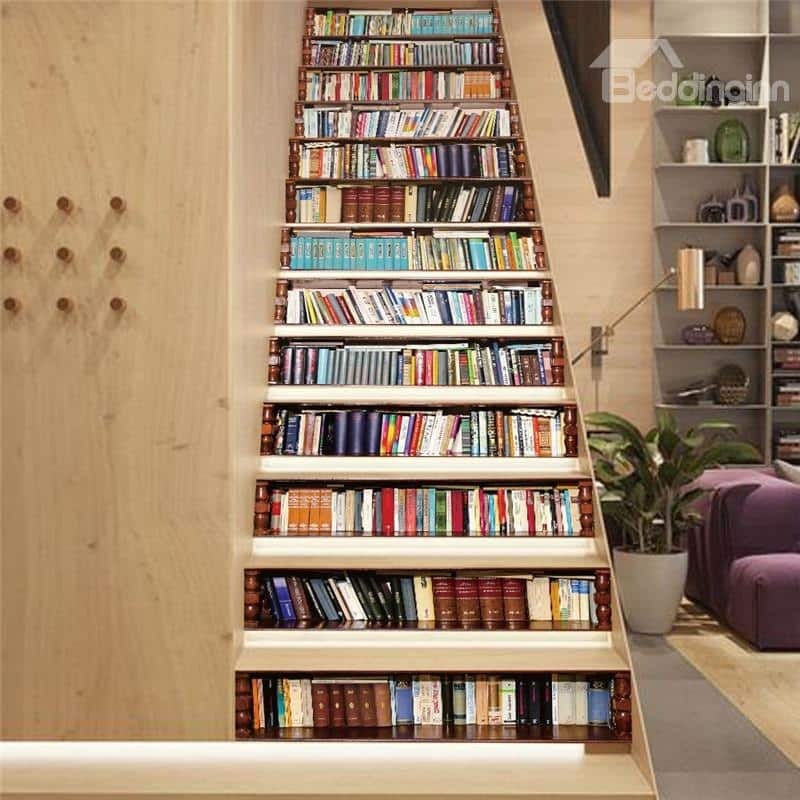 Our top 19 DIY staircase makeover ideas, that can brighten up any home or living space. But if you are planning a rather large scale stair design or makeover and DIY is not your thing, contact Active Metal. Hope you enjoyed our guide. Next articleIs It Worth It to Replace HVAC Before Home Sale?